Whether you are part of an established household or someone just starting out in life, everyone can use a little help with their finances from time to time. The two budget spreadsheets below are flexible enough to accommodate a variety of needs and easy to use. Just click, plug in your numbers, and you'll be well on your way to gathering financial insights. This super simple plug-in-the-numbers budget worksheet is specifically designed for young adult singles or couples. Recognizing that you may work multiple jobs when you are young and starting out, the form provides spaces for multiple sources of income. Feel free to write in the name of your job, and plug in your take home pay. If you don't need all the income fields provided, just leave them blank or delete them. Your monthly income will auto-calculate for you. The expense section of the worksheet functions much the same as the income section. Just plug in your monthly expenses in the fields provided. Feel free to rename the categories. Again, just leave blank or delete any that you don't need. Your monthly expenses will auto-calculate for you. As you type in your monthly expenses you will notice a pie chart forming to the right. It will automatically provide a graphic representation of where you spend your money. This is the bottom line and probably the most important field on the worksheet. It automatically calculates your income, minus your expenses. If this is a negative number, you must either earn more or spend less. If the number is positive, you have that much money to spare. 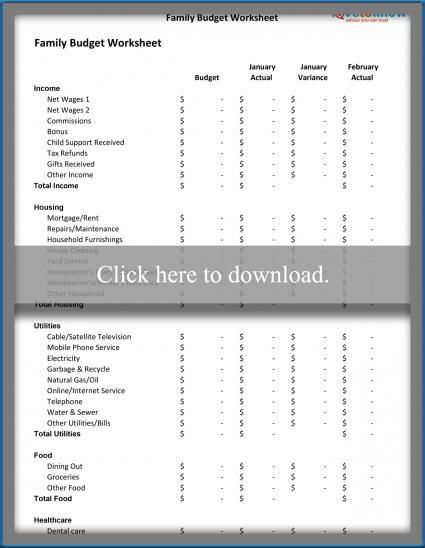 This budget worksheet is designed to meet the needs of families with children. 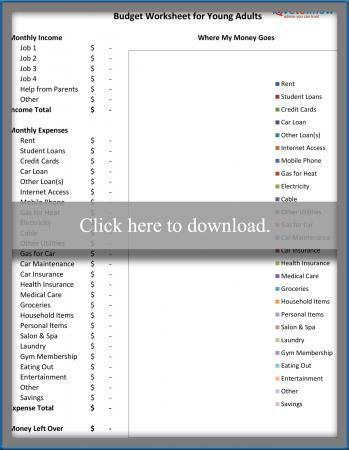 In the Budget column simply enter the income your family expects to receive on a monthly basis. Feel free to change any of the income descriptions. For example Net Wages 1 might become Mary's Job. You may also delete any types of income that don't pertain to you, or just leave them blank. In the Monthly Actual column, enter the actual income received during that month. Both your Budget and Monthly Actual columns will auto-calculate totals for you. Likewise each line item will also auto-calculate an Annual Total on the far right side of the worksheet. Your expenses are broken into broad categories, each containing a variety of line item expenses. As with the Income section, feel free to change, delete or leave blank any of the expense descriptions that are not relevant to your circumstances. Each broad category will auto-calculate a total. In the Budget column, enter the amount you have allotted for each line item, and input your actual expenses in the Monthly Actual column. The Monthly Variance column will auto-calculate to show you how your expenses compare to your budget. A positive number means you stayed under budget, but a negative number means you overspent. The Grand Total Expenses row auto-calculates the sum of your expense categories. Net Income is the amount that remains after your expenses are subtracted from your income. This should always be a positive number. 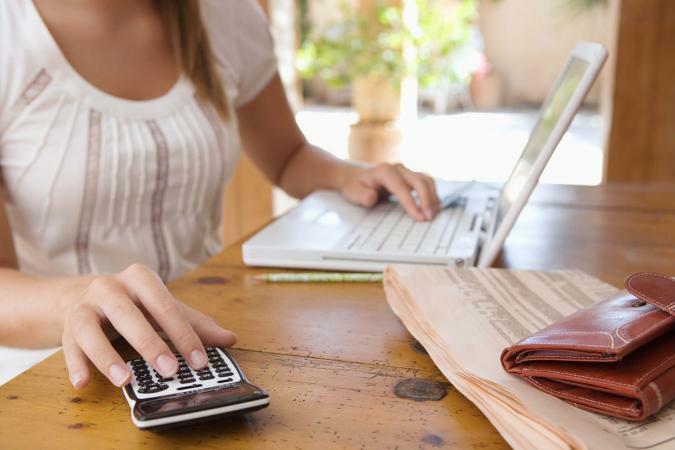 For some a budget may be a critical tool in recovering from - or avoiding - debt. Others may be perfectly comfortable financially, but use budgets to keep a handle on where their money goes. Either way, establishing a household budget should offer some good tips on how to approach your budget.